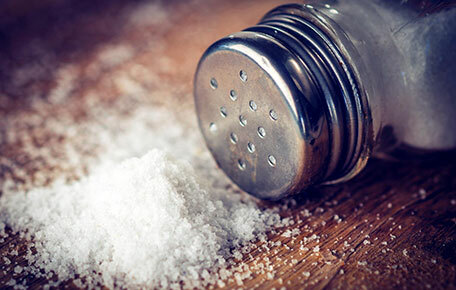 UVA Solving the Dietary Salt Question: Why is my Blood Pressure Sensitive to Salt? Research shows that 48 percent of people possess a gene variant that limits the body’s ability to eliminate excess salt after high-salt meals. Researchers at the University of Virginia School of Medicine and the George Washington University School of Medicine have discovered how a gene variant found in 48 percent of the population can limit the body’s ability to eliminate excess salt after high-salt meals. Having this gene variation increases the odds of having blood pressure that is sensitive to salt, the researchers determined previously. This follow-up discovery explains exactly how the variant prevents the body from eliminating excess salt. Salt sensitivity of blood pressure is difficult for doctors to diagnose and even more difficult to treat because 14 percent of the population can have normal blood pressure and still be salt-sensitive. Knowing precisely where the salt-elimination defect is located and how it works could eventually lead to personalized treatments for the condition. In this era of personalized medicine, physicians are recommending individualizing diet and exercise routines because everyone reacts differently to these lifestyle choices. Previously, the UVA researchers demonstrated that each individual is genetically programmed with a “personal index of salt sensitivity,” suggesting sodium chloride dietary guidelines should also be personalized. The approximate 30 percent of the population that is sensitive to salt will have a higher incidence of strokes, heart attacks, kidney failure and blindness because of the inability to eliminate sufficient sodium. UVA pathologist Robin Felder is studying the genetic basis of salt sensitivity. In their new findings explaining the genetic causes of salt sensitivity, the researchers determined that the genes code for a protein in the kidney that helps balance sodium elimination with sodium retention. “It’s important for the body to get rid of excess sodium because having too much sodium in the body causes the body to retain water, which can raise blood pressure and significantly shorten one’s lifespan,” said Robin A. Felder of UVA’s Department of Pathology, the senior author of a new paper that details the discovery, published in the online journal PLOS ONE. The research reveals that a gene defect causes a sodium transporter called NBCe2 to overwork. This brings too much sodium filtered in the kidney back into the body, especially after a high-salt meal. That means that consuming too much salt could be especially dangerous for people who carry this defective gene. “Additional studies will be necessary to examine additional sodium transporters in both animal models as well as human volunteers,” said George Washington University’s Dr. Pedro A. Jose, a co-investigator in Felder’s salt-related research program. 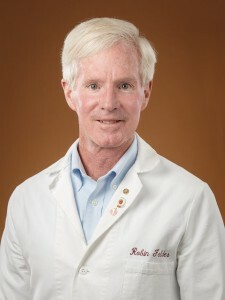 Felder’s research was based on a study population tested previously at UVA by Dr. Robert M. Carey, who evaluated how the kidney metabolizes salt in a population of 183 adult volunteers who agreed to follow a special diet of high salt for one week and very low salt for another. “We spent over five years discovering and furthering our understanding of this key pathway associated with salt sensitivity since the presence of NBCe 2, and its effect on salt excretion has never been demonstrated in the human kidney,” said Carey, of UVA’s Department of Medicine. A recent grant from the National Institutes of Health’s National Heart, Lung and Blood Institute is allowing Felder and his colleagues to continue their studies, and they are now seeking volunteers for their ongoing salt consumption clinical trials. To learn more about these studies, visit the study’s website.